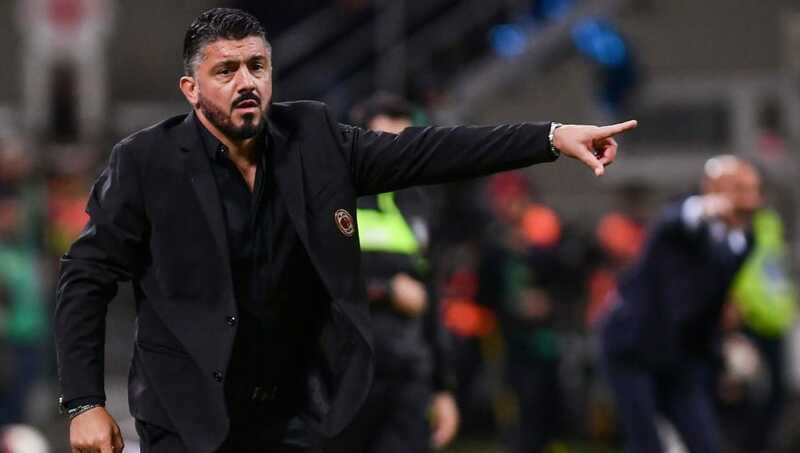 ​AC Milan are believed to be considering Gennaro Gattuso's future as manager of the side following Milan's disappointing 1-0 loss to rivals Inter on Sunday. Milan fell to a late Mauro Icardi strike, but their performance lacked initiative and creativity. They rarely threatened Inter's goal and were deservedly beaten, and the result now leaves Milan in 12th place in Serie A. They are currently 13 points behind leaders Juventus, whilst they are just six points above the relegation zone. According to Italian outlet Sportitalia, sporting director Leonardo is desperate to relieve Gattuso of his duties with the club and replace him with a more experienced alternative, such as former Bologna manager Roberto Donadoni, who is currently available. Like Gattuso, Donadoni is a ​Milan legend, spending ten years with the club between 1986 and 1996, as well as a further two years from 1997 to 1999. Milan are keen to employ somebody who embodies the values of the club, and it is believed that Donadoni is high on the club's wish list. Sportitalia also claim that out-of-favour midfielder Riccardo Montolivo and his agent met with Leonardo over dinner in September, with the 33-year-old trying to convince Leonardo to sack Gattuso. Montolivo is yet to appear for Milan this season, and is believed to be incredibly frustrated with Gattuso. Another Italian newspaper, ​La Gazzetta dello Sport, also name Donadoni as a potential successor to Gattuso. However, they also claim that Milan are keen on former ​Chelsea and ​Juventus manager Antonio Conte, but add that any move for him is unlikely as a result of his ongoing legal disputes with Chelsea following his dismissal this summer. Milan's performances will be closely monitored in the coming weeks, giving Gattuso a chance to improve his side's fortunes. Upcoming matches with Real Betis, Sampdoria and Udinese will certainly be crucial for the Italian manager, who could well be fighting for his job.